The Beresford School District will join districts across the state thanking school board members for their leadership and service to our local school district and community during South Dakota School Board Recognition Week, February 18-22, 2019. South Dakota School Board Recognition Week is the time to recognize the women and men who dedicate their time and energy to serving on locally elected school boards. School boards help set the direction for their public schools and work to improve student achievement. 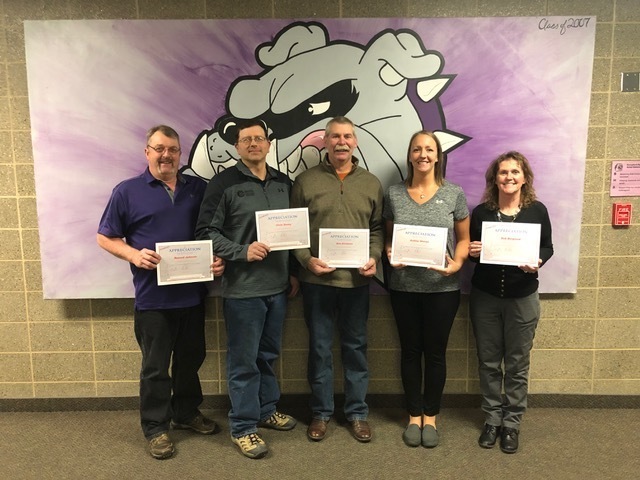 The members who serve on the Beresford School Board are responsible for setting the mission, vision, and goals for the district. They work to provide quality education for 695 K-12 students and allocate an annual budget of just over $7 million. The school board also hires quality educators, adopts policies and evaluates progress while always keeping the best interests of our students in mind. “As elected school leaders, board members represent the public as they work to improve student achievement and help make our schools a safe place where all children can learn,” said Field. “They play an important role in our representative government that guarantees local control of our schools.” Their commitment to service and public education affects the present and future lives of our children and our communities. The Beresford School Board meets on the second Monday of each month at 5:30 p.m. in the south campus library. The public is always welcome to attend the school board meetings.